Does not include Red Hat customer support. Does not include Red Hat Enterprise Linux Atomic Host. Can only be deployed on physical systems. Cannot be stacked with other subscriptions. Is not intended for production environments. Includes Red Hat Enterprise Linux Atomic Host. 24×7 for severity 1 and 2 cases. 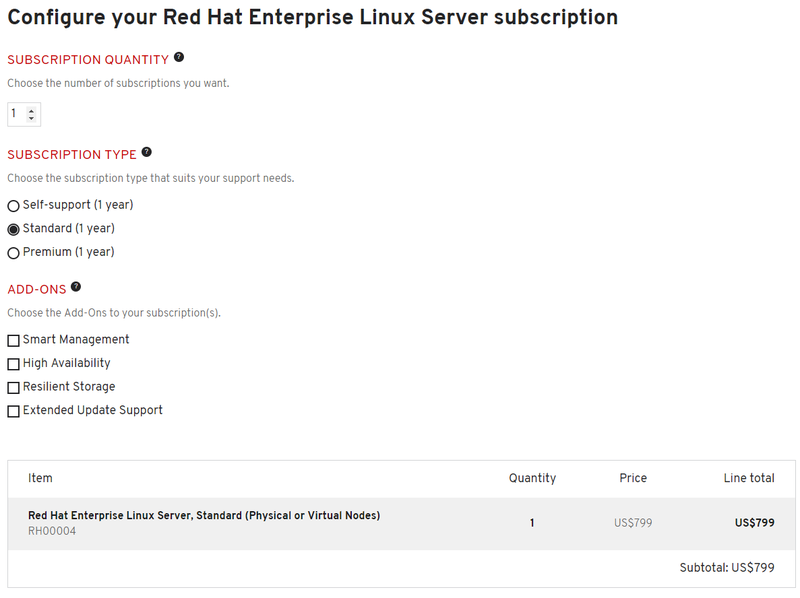 A Red Hat subscription includes support services. When you purchase a subscription, you choose a level of support services to cover specific use cases and environments. Available support levels include premium, standard, and self-support (available only in certain regions and on Red Hat Enterprise Linux Server Entry Level). Subscriptions also include support for development.